We are about to launch a new survey experience and wanted to give you a sneak peek today. Experience is everything – even when it comes to taking surveys. Respondents enjoy engaging with surveys that are easy to read and respond to on any device. Let’s compare the old and new survey experience. 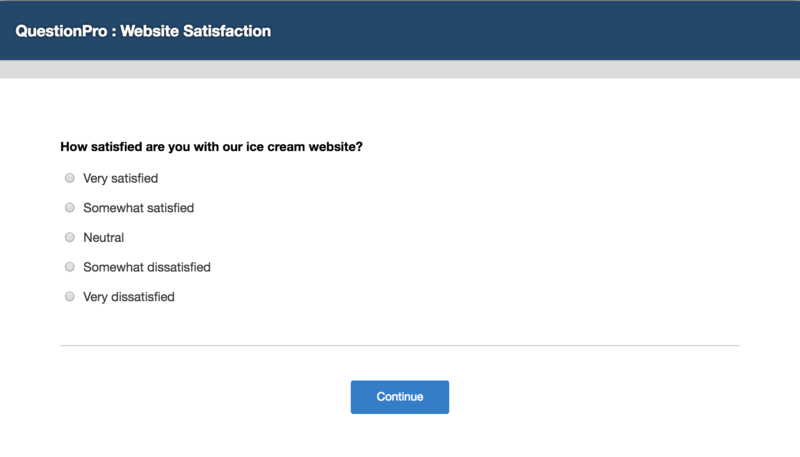 As seen in the image above, SurveyAnalytics’s new survey experience will offer survey respondents greater readability, better use of screen real estate, cleaner views, larger click zones for responses, and easier interactions for all question types. All of these features drive higher response rates. The new survey taking experience will be available on all device types. Question 1: Will the new survey experience change any of my old surveys? Answer: No, it will not change any existing surveys. Existing surveys will not be affected. Surveys with CSS applied to existing surveys templates will also not be affected. The new survey experience will only be applied to new surveys created after the official launch date. Question 2: Can I still customize the theme of my surveys? Answer: Yes, you may continue to customize the look and feel to match your branding guideline. More color and theme options will be available, and CSS options will be available to fully customize survey templates as needed. Question 3: Will the experience look different on different devices? Answer: The experience will be seamless and have a similar look and feel throughout. You may use preview buttons to view the difference between desktop and mobile views. Question 4: What license is the new survey experience for? Answer: It is for everyone – Free to Enterprise licenses can enjoy the new survey experience. Question 5: When is this going to be available? Answer: At this time, we are finalizing our testing and quality assurance. The expected launch date is Saturday, September 1st, 2018. As it gets closer, you will see an in-site update that will notify you of the launch date when you log in and out of SurveyAnalytics. Question 6: What do I need to do to get the new survey experience when it’s available? Answer: Nothing! 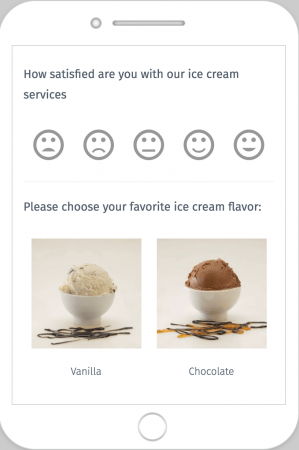 Once launched, all new surveys that you create will have the new survey design. There has been significant progress made by cloud computing services such as SaaS, PaaS, and IaaS since the early 2000s. With progress, there came an unusual burden on IT management. People using cloud computing have to manage multiple usernames and passwords which lead to them forgetting the credentials in many cases. It has been observed that 20% of customer care queries are related to forgotten credentials. Due to the numerous applications being produced every day, there is a significant loophole which needs to be addressed. The IT department often lacks access to information about which applications do most of the users prefer or the frequency of usage – which gives way to fraudulent activities such as phishing, hacking of databases etc. and mismanagement of the highest order. Access control is one of the most influential factors in IT security but is also the most vulnerable. Central management of access control is important for scaling of cloud-based applications for prevention of excessive overhead costs, visible organization’s inefficiencies and identity breaches. Identity breaches have become exceedingly rampant due to which SAML, Security Assertion Markup Language, was introduced in 2002. SAML is an open-standard based on XML for authentication and authorization between two parties, usually – identity provider and service provider. It is a product of the Organization for the Advancement of Structured Information Standards (OASIS) which allows users to access multiple applications using a single user-name and password combination. This is known as identity federation as it enables users to maintain one identity across various apps. The most important implementation glitch that SAML undertakes is web browser single sign-on (SSO). SurveyAnalytics now offers SAML based SSO which will enable users within an organization to access the SurveyAnalytics survey software. The users aren’t expected to create and maintain separate accounts especially for SurveyAnalytics. 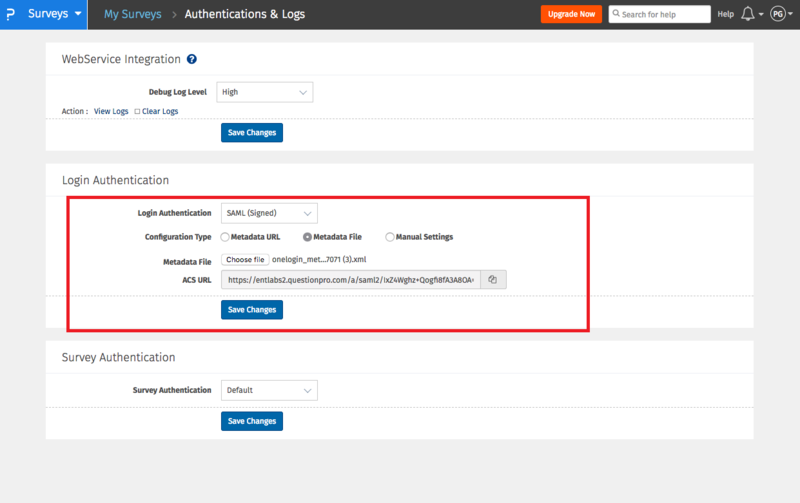 Please go to My Account » Authentication and Logs to enable SAML authentication. Metadata URL – The most straightforward approach to set up SSO is to enter a link to the identity provider metadata file (if they can provide this information). After entering and saving the link, SurveyAnalytics will download the file, parse it and complete the configuration. Metadata File – In some cases, identity providers expect a service provider to download the metadata for configuration and not the URL. Service providers can choose the “Metadata File” option and enter the downloaded file before saving it. SurveyAnalytics will analyze the data and critical information will be extracted without saving the metadata file. For any changes, the metadata file will have to be uploaded again and the entire will have to be repeated. For SurveyAnalytics to ID to Identify and automatically provision access, the SAML identity provider must be configured to enter only one attribute: emailAddress. 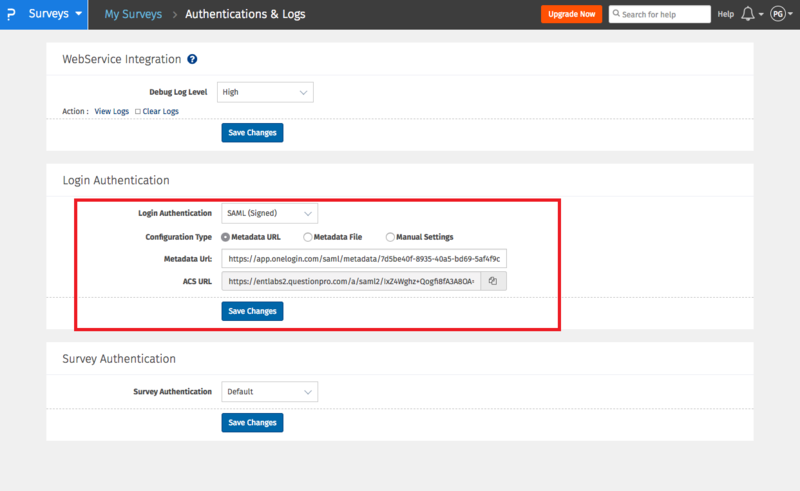 Click here for more information and details about SAML2.0 integration. Users of SurveyPocket's offline app rejoice! You can officially change the theme and skin of your offline field research tool. Many of you wanted the ability to match the survey theme to match your organization's style guide. And now you can do it! Before you get started, make sure to download the latest app update and follow the instructions below. How can I change the theme of the offline app? To change the offline theme on the app, go to Edit » Mobile. 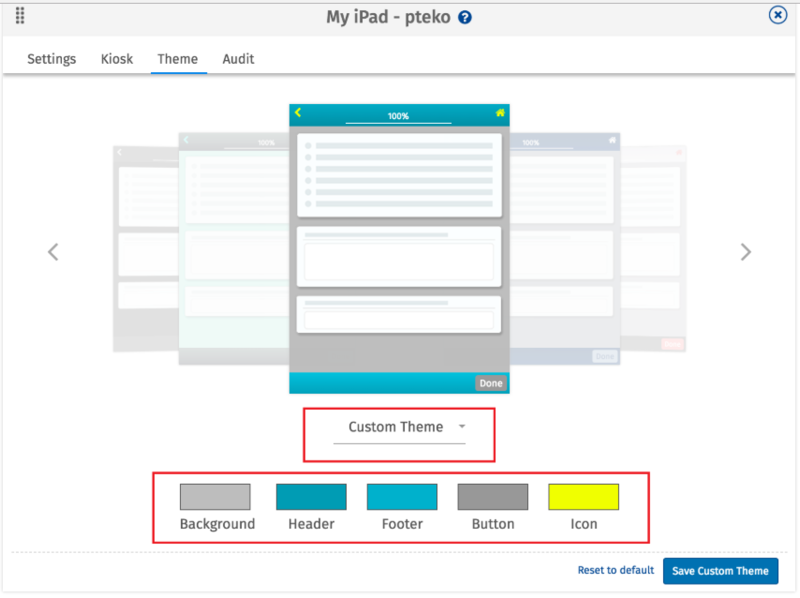 Click on Device Name » Theme in the QuestionPro App Device Registration tab. You can scroll through the 8 predefined color theme and select a color that best suits your brand identity. Can I create a custom theme? Yes, you can create a custom theme. 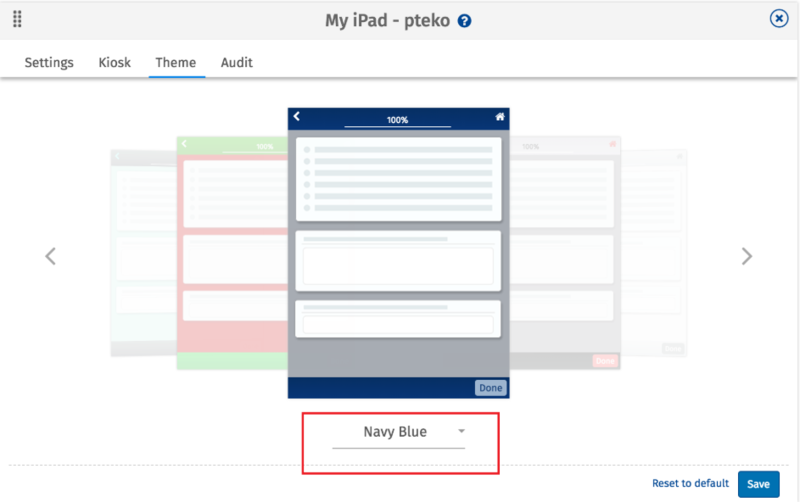 There are 8 predefined themes, but, the 9th selection in the drop-down list is where you can add a custom theme. Please note that in this option, you can change the Background, Header, Footer, Button. Customizing the font color is not possible. I have customized the theme for my survey but don’t see it in the app. Custom themes are supported from the following app version onward. Please make sure to update your app to the latest version from the app/play store. In a survey, audio and video questions are added to make it communicative, creative and personalized. Video questions, in particular, have the capability to convey emotions to the respondents and make the survey interactive – making your survey more effective in capturing increased and complete survey responses through engagement. For 21 years, Adobe Flash was the most significant tool for audio, video, animation and other graphics. But, in the past few years, it was constantly claimed that Flash was vulnerable to security issues which bring a significant amount of risk for computer users, has higher loading time, needs to be constantly updated, slows down websites and other similar drawbacks. Due to these shortcomings and with the change in IT and its consumerization, new open standards such as HTML5 have proven to be much more effective on mobile as well as desktop platforms – without a plugin. HTML5 also offers better security parameters, hardware access along with offline storage mediums. 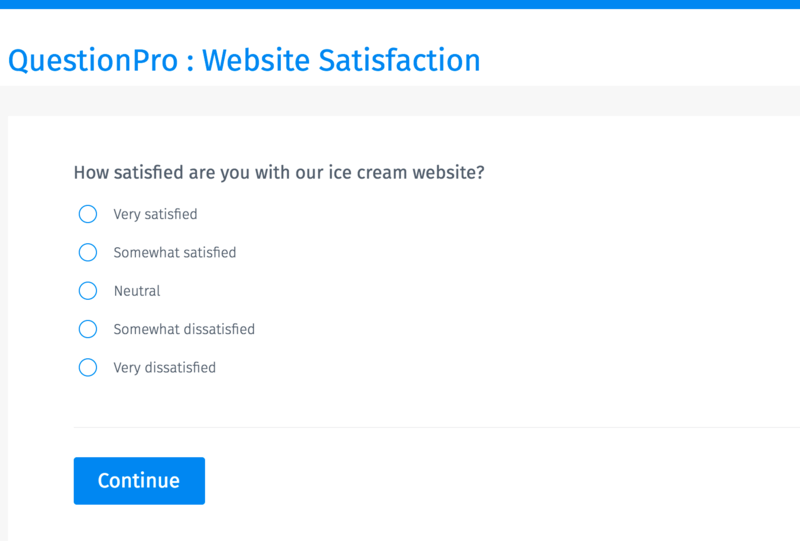 QuestionPro has updated to HTML5 as it is an effective tool that supports mobile and desktops and doesn’t slow down the process of taking the survey. Researchers and survey creators can add videos either from a medium such as YouTube or upload an MP4 video file that they may have and embed it into the survey. How to add a video question into a QuestionPro survey? 4. In this section, a survey creator can upload a video file. To include specific videos that they survey creator may have, he/she can choose the “Select from Library” option from the drop-down. They can upload the video in this tab or select a previously uploaded video as well. Join us for a special webinar hosted by our new president of QuestionPro WorkForce, Charlie Judy, as he explores the topic of "Creating Your Workplace Culture BluePrint." We’ll explore what a blueprint for your culture and your world-of-work should and shouldn’t include. We’ll consider tangible opportunities to thoughtfully draft your blueprint – based on data, analytics, and a deeper understanding of who you really are, how you really work today, and what’s going to drive your success tomorrow. We’ll give you some tools for ensuring your internal teams stick to the blueprint while heightening visibility to it, assigning responsibility for it, and instilling accountability around it.